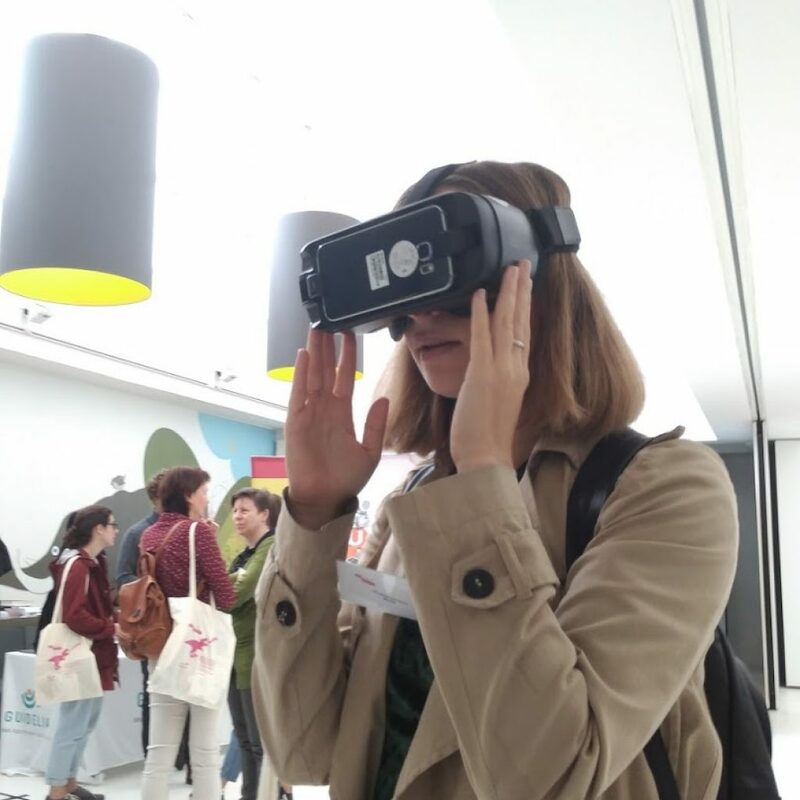 We deliver fully-fledged location based VR experiences for your events, team buildings’ day or your business presentations. 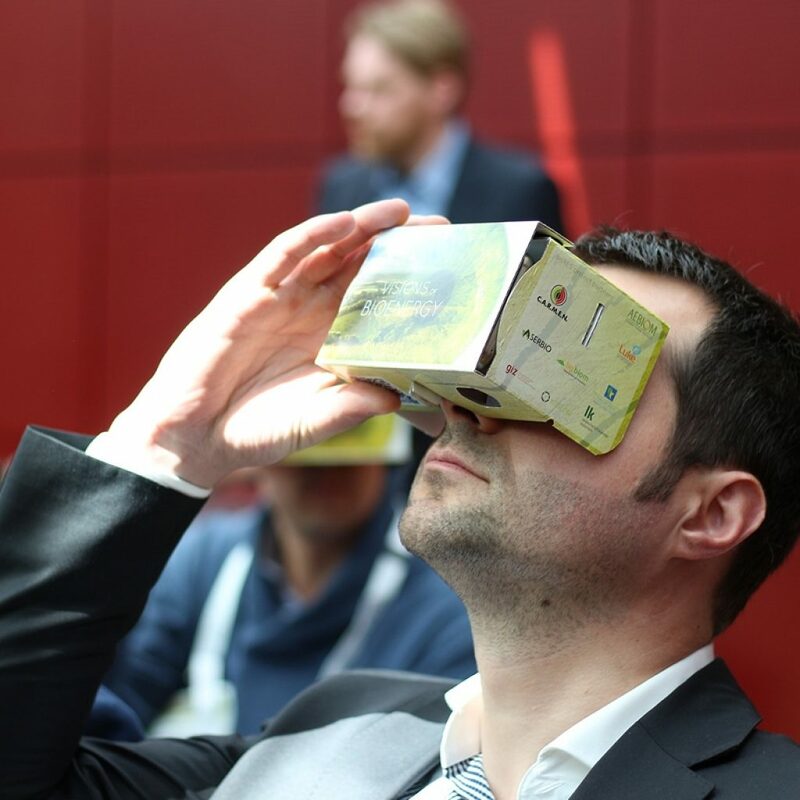 Do you want to offer a virtual reality experience at your event ? 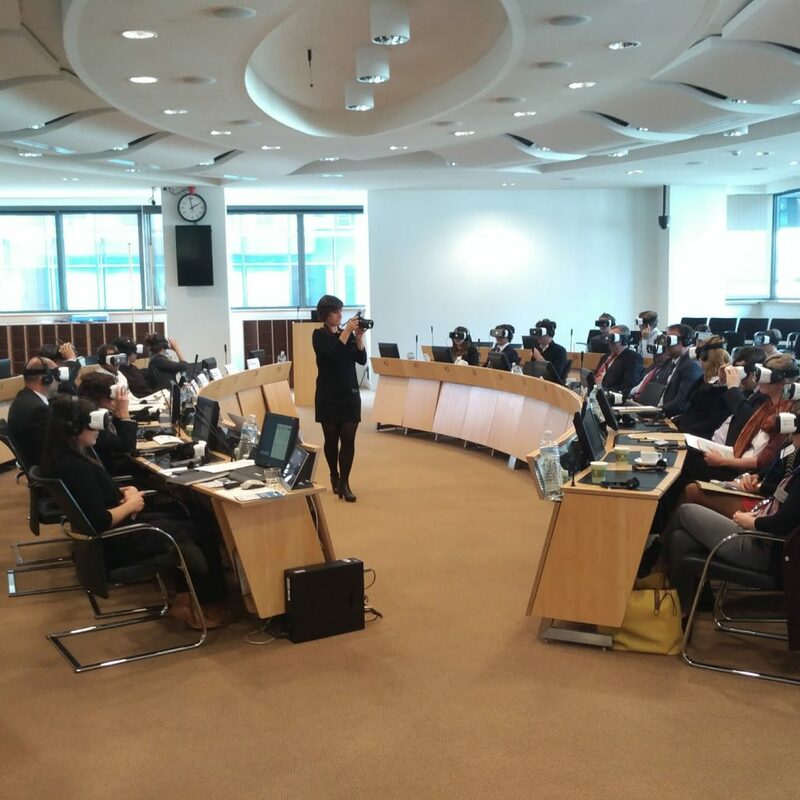 We can also adapt VR technology into e-trainings applied to all line of business. 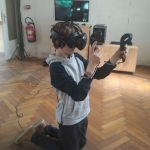 Poolpio sets up mixed reality installations for VR courses, cultural or marketing events. Thanks to the integrated sensors, the MR head-set has the capacity to take the real space into account. Mixed reality allows the user to move in a 3D modeled space due to real time position tracker. Our green key and general set- ups allows you to film and record the whole experience integrating the user inside its VR environment. 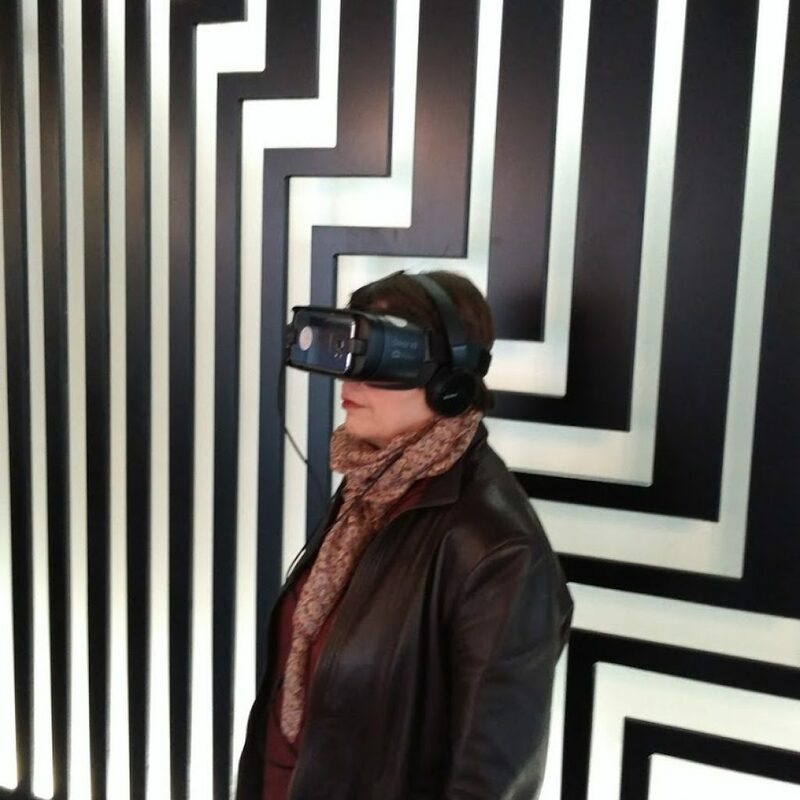 From Graffiti, plastic art to 3D painting VR experiences, we organize VR immersive experiences for you. 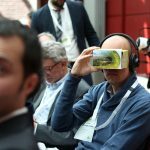 Our Pop Up VR Cinema allows you to bring the power of virtual reality to your festival or local theater. 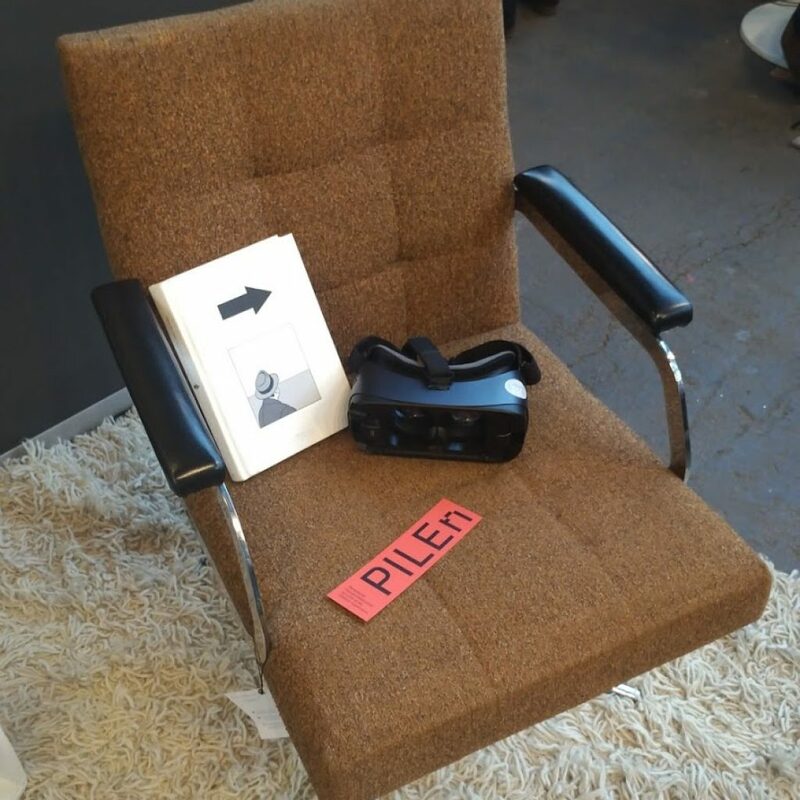 We make VR equipped seats with the Occulus Go and VR movies or interactive experiences available to allow your event to make a mark on everyone’s mind. 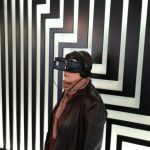 Large catalogue of emerging films and interactive experiences powered by Lionfish, Diversion Cinema, VRroom, MK2 and Wide. Don’t be afraid : our highly qualified staff will accompany you during your immersion from devices installation to the end of the session. We allow your brand to strategically and properly use virtual, augmented and mixed reality through its future projects. 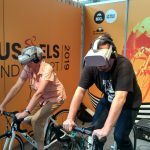 The first virtual reality festival (VR) of Belgium! 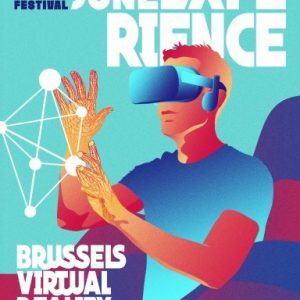 Since 2016 we organize the first ever VR festival in Belgium : “Experience”. 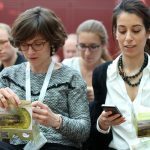 This event last 4 days and is set up in UGC, Galeries and Bozar. 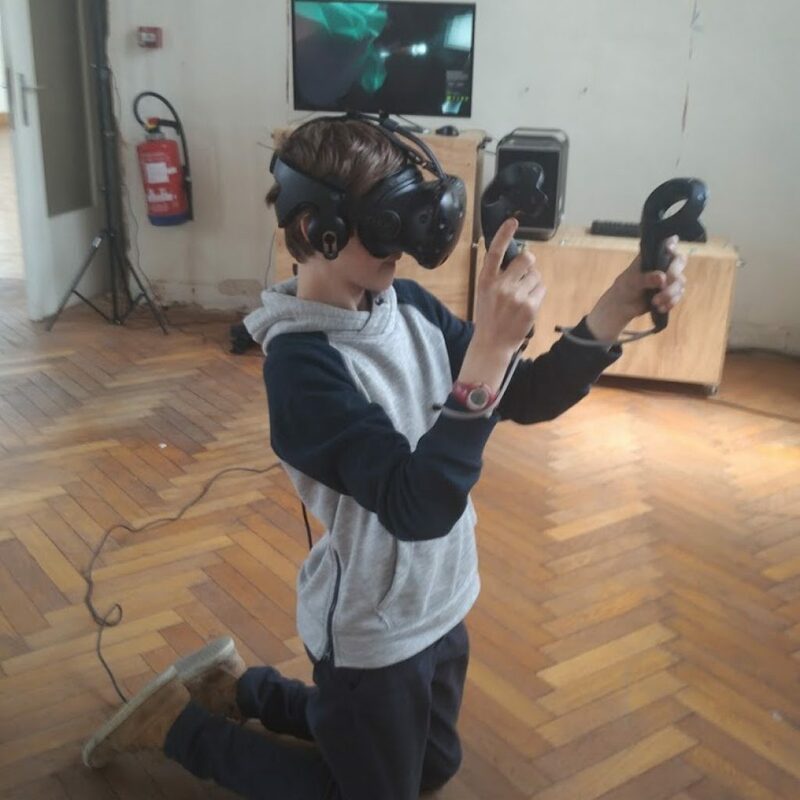 Our festival is organized with the aim to make discover the latest content in terms of virtual reality movies to the attendees. Virtual Reality is a set of technologies (programs, components, terminals) to give the viewer the impression of being “elsewhere” in another place, in another time, surrounded by objects or characters which do not exist. The viewer is no longer facing a screen, watching a movie. It is literally immersed in the film or the simulation. 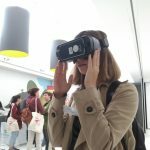 Through different proposals the Experience festival will offer the public the opportunity to experience these new uses and to explore the emerging generation of virtual reality movies. 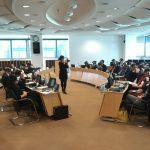 With audiovisual professionals and filmmakers, it is also the occasion to discuss the challenges of this new sector of the artistic point of view but also in terms of production and distribution. 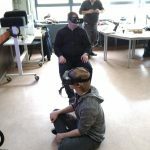 VR is not just a movie or a video game viewed in a helmet. It is a new audiovisual media with its own language and its own expression format. The aim of this new festival is to share the best content. 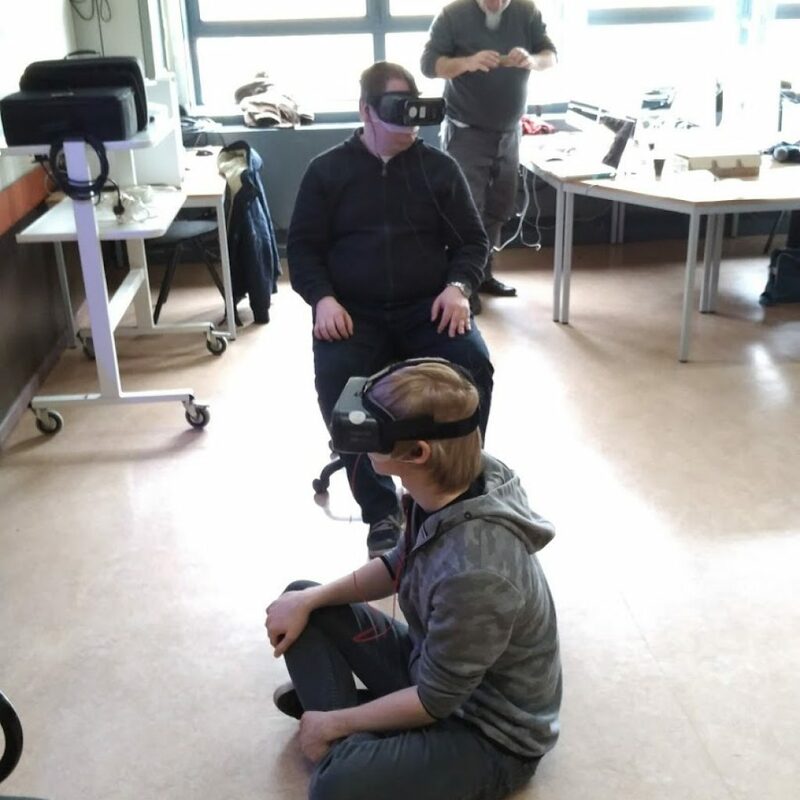 One of our customer wanted to bring VR into their open doors day event. That event lasted for 4 days and gathered 1200 people. 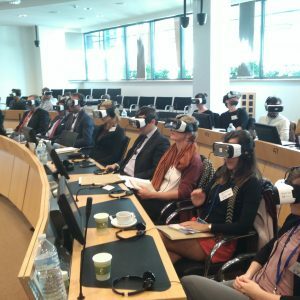 The aim of bringing VR to the event was to entertain the attendees. 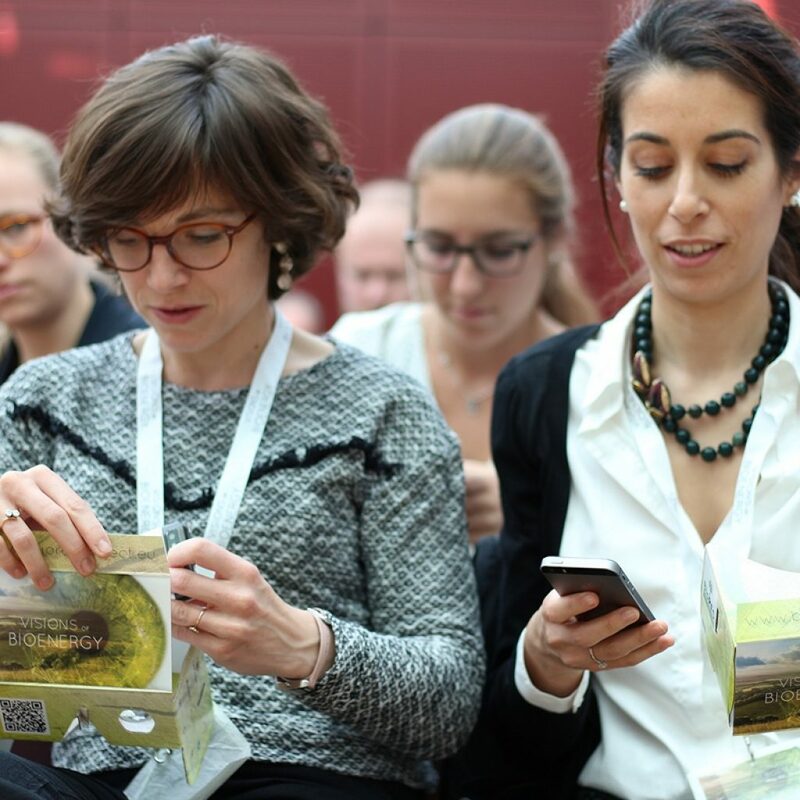 So they asked us what kind of experiences we could propose to add an immersive touch to the event and make it successful. 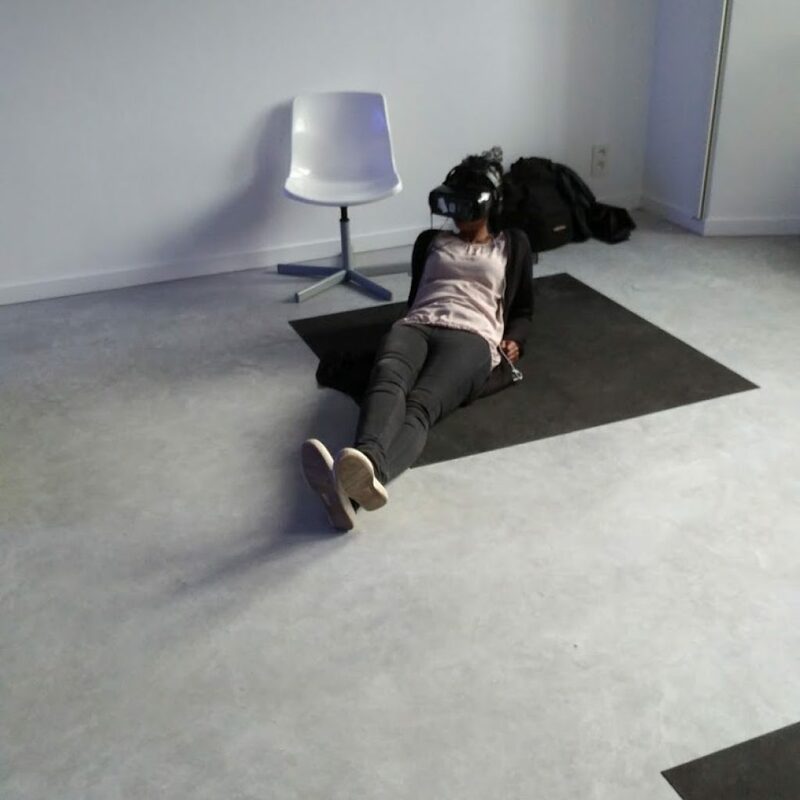 We have installed five VR gaming stations with the “Plank” experience. That experience places you first in an elevator which takes you on the top of a 80 stories high building and allow you to walk on a wooden plank that is also present in the real environment below the user and that plank leads you above the empty space. You are literally walking above the street and the traffic. It is an impressive both scary and funny experience that attendees enjoyed. 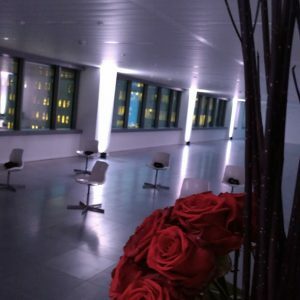 Each VR gaming station was managed by one of our qualified staff member to insure the ease and the best comfort for the guests. 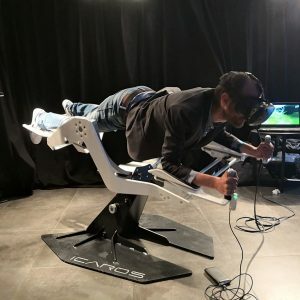 We also placed a VR flying simulator experience coupled with the “Icaros Pro”. This device put the user in a lying position and is designed to allow the user to lean forward and backward and to the right and the left to follow a flying run by going through many circles in the virtual sky of a virtual landscape. 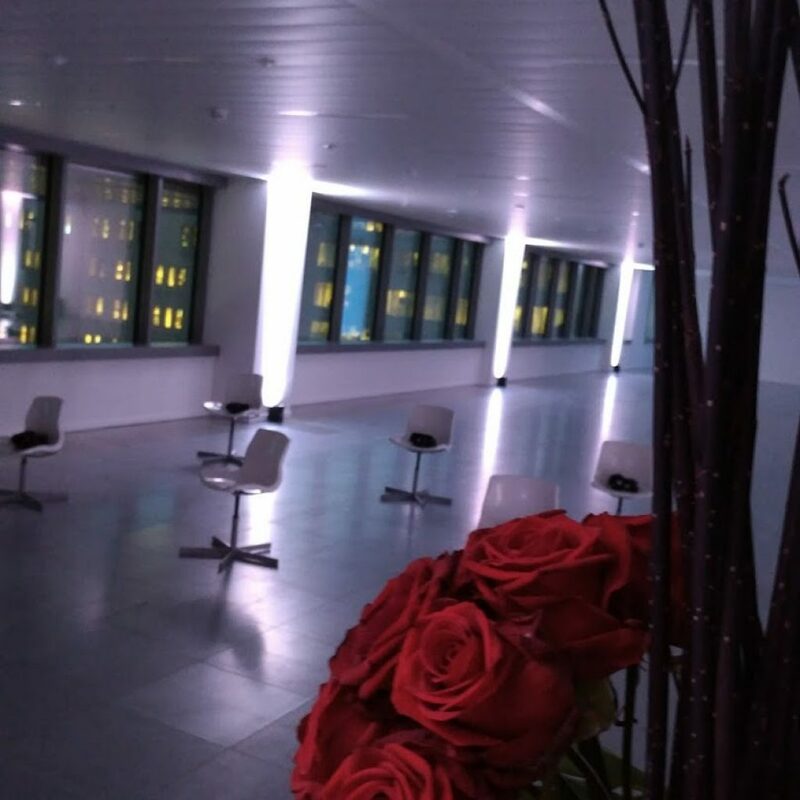 By adding VR into their event our customer has left a mark on the attendees’ mind, and they were delighted to try and discover these two kinds of immersive experiences. The organizer already looks forward to discuss and find VR novelties regarding their next event. And we do too ! This headset uses room scale tracking technology*, thanks to its sensors diagonally placed in the room. 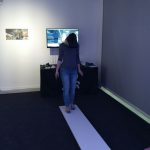 The headset allows the user to move in 3D space and use motion-tracked handheld controllers to interact with the environment. 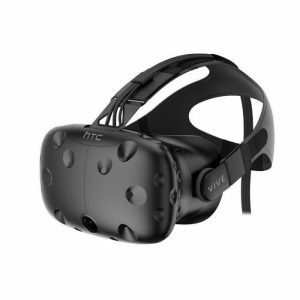 *The HTC VIVE requires a minimal surface of 8m². This headset also uses room scale tracking technology. 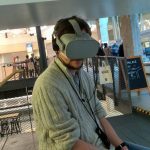 With the Rift the sensors are placed in front of the user on a certain distance. 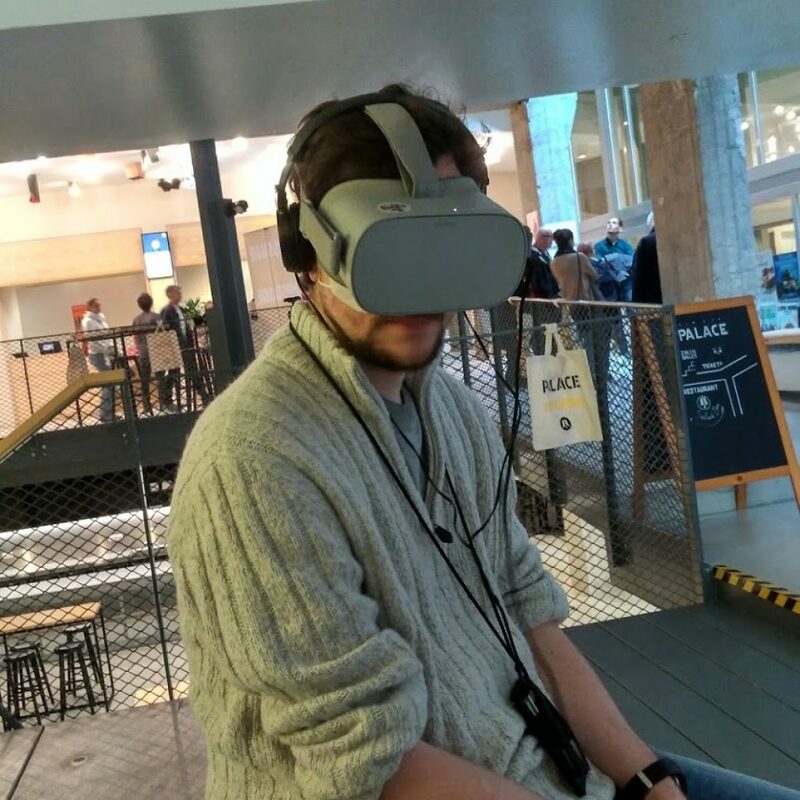 The headset also allows the user to move in 3D space and use motion-tracked handheld controllers to interact with the environment. 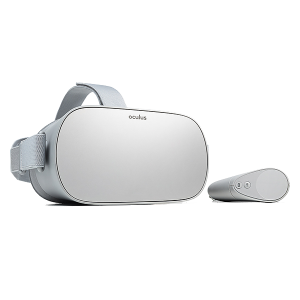 The Oculus GO is a standalone VR headset controlled by one handheld controller that fits best our Pop Up Cinema offer. 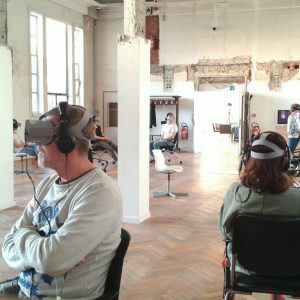 With a large range of experience such as VR documentaries, and all kind of VR movies. 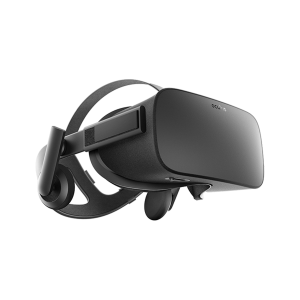 The device also allows to play short and light VR games. Poolpio has also entirely developed the experience “Tour de France” that was available on the Oculus Go.